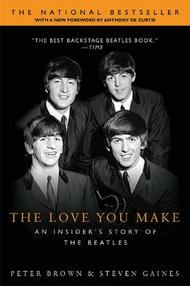 The Love You Make (An Insider's Story of The Beatles). Artist/Personality; Reference Textbooks; Textbook - General. Rock. Book. Published by Alfred Music (AP.74-0451207357).ISBN 0451207351. Rock.The Love You Make is a true insider's account of the entire history of The Beatles, written by Peter Brown, who worked for both Brian Epstein and the Apple organization. From the early days of The Quarrymen to the breakup of the band and John's tragic death, this book leaves no stone unturned.